Customers will have access to their own Customer Portal! Once you receive your log in, you will be able to see your pet’s profile, request reservations, see upcoming and previous reservations and see what vaccines we have on file. We will release more information on how to access this once the customer portals are ready. This choice was so very hard for us. We had to pick between a big group of wonderful dogs that we have gotten to know this first month of being open. Ben won for being as close to perfect as any dog can possibly get! 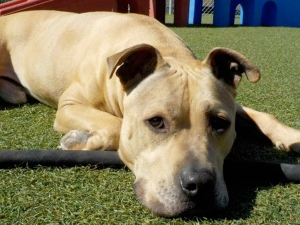 He’s the right amount of playful, lovable and calm and has really gotten attached to each of the daycare attendants. Just looking at him and his big smile brightens up our day. We love having him in our pack here! One of the hardest decisions we have to make at Suite Paws is determining which dogs to remove from the daycare pack, and which dogs will fail their temperament tests. Often times we’re heart broken and just plain torn up emotionally over removing a dog. Especially if it’s a dog we’ve known since they were a puppy and they have been coming for years! We get highly attached to each dog. 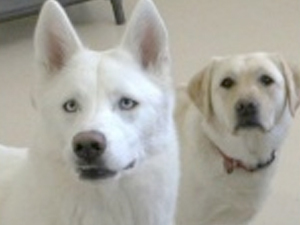 Adulthood in canines can bring on personality changes. Sometimes the scared or timid puppy will grow into a confident, well behaved and outgoing adult. However, sometimes the confident and outgoing puppy can mature into a short tempered bully who is a bit too rough. We document every dogs behavior each day in their notes, and will makes notations if their personalities are starting to shift in time. This is also why we re-temperament test a dog if we haven’t seen them within 6 months! First, and foremost, let me get one thing out there. 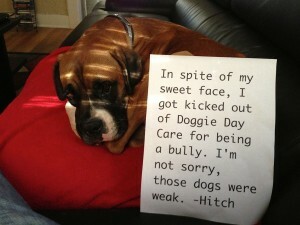 Just because your dog doesn’t like daycare anymore doesn’t mean 2 major things: 1.) It doesn’t mean they are anti-social or dog aggressive now! 2.) It also doesn’t mean they will hate the dog park now. 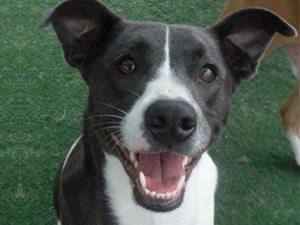 If your dog loves the dog park, but hates daycare that is okay and perfectly normal! Fred joined our pack back in February and has been busy stealing hearts since he first arrived. He is very popular among our dog pack, and even the human attendants have fallen in love with him. Fred plays with wonderful energy and he is one of the puppies favorite play buddies. He has wonderful social skills and manners, and to top it all off – he’s the world’s best hugger. He can be found most mornings wrestling and playing nonstop, and then in the afternoons he spends the last few hours in daycare either sunbathing or snuggling with attendants. We love Fred! Hobbes is a regular at Suite Paws, and he knows he rules the roost when he is here! Not one surface in the cattery goes untouched when Hobbes is in the house! He is super playful and very outgoing, so he is popular among the staff and customers as everyone enjoys his antics! Roscoe is a frequent visitor who is very popular among the staff in all departments here at Suite Paws. When he’s with kennel staff, he loves to snuggle and get belly rubs. When he’s in daycare, he loves running around and playing with some of the regulars that he’s best friends with. He really brightens up our day when he’s here! My own yard at home has started to become a bit more populated by the leaves from one specific tree that must be sensitive to the waning of sunlight. God Bless the Fall! We have about a month to two months to enjoy this beautiful scenery. How lucky are we to live in a beautiful state of North Carolina? People travel here to see what we possibly take for granted on a yearly basis during Autumn. In our daycare pack, the puppies are finding leaves as they fall, and it’s initiating games of chase and tug-a-war. Puppies LOVE leaves. Do yourself a favor, if you have the ability, please take this one season with your puppy and set aside a bit of time to make it memorable! 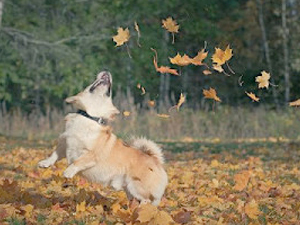 Next year, your puppy will be full grown and (possibly) not interested, although many adult dogs still love leaves as much as puppies. And make sure you take pictures and/or videos! And share them with us over on Facebook or Twitter! Kai joined our pack as a puppy back in April of 2015. We’ve had the pleasure of watching this fun guy grow up. Kai likes to fancy himself a bit of a daycare attendant and he takes his job as a pack leader serious here at Suite Paws. He’s often showing the puppies how to behave and have fun in a pack environment. He loves the water and can’t wait until pool season again where he can wrestle and play with his best friends Tucker and Emma! Katie and Bella are sweet senior sisters that love their time here and are absolute snuggle bugs! They love to lay outside in the sun on nice days or curl up on their cots to cuddle up together. They are loved dearly by all of the staff members here! Eva is such a fun playful little kitty. She loves having as much time out of her condo as possible just so she can jump, climb, scratch, and attack the cat climbing trees. Even though her stay with us was short, she still filled our hearts with joy. Simba loved getting his trim up. He is a joy to groom! 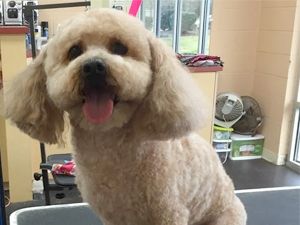 Our groomer, Summer, gave him a short hairstyle with a cute teddy bear face. Snow White is an extra lovable lab who spends most of her days having fun swimming in our pool and getting all the dogs to play chase with her. What a sweetie! Chase is such a good boy. We love him. He’s a laid back foxhound who loves to strut his stuff! Logan is such a sweet and pretty girl. She prefers to hang out with the group and watch everyone play but does join in on the fun occasionally. We love Mr. Buck! He’s a rough and tumble bulldog who is best described as the class clown. He’s a hoot! Alley is such a love bug. She spends most of her day getting as much love as possible from the daycare staff. We adore her! My Buddy! 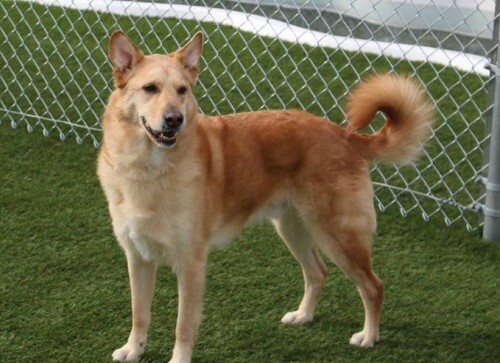 He’s a handsome boy who loves to “talk”, and when the energy hits him, run laps around the daycare yard. He’s a sweetheart. Cinder is such a cute little pug. She’s hilarious! She loves to play keep away with the other dogs and spend her free time sitting in all the chairs. Murphy started with us as a little puppy. We have had the pleasure of watching him grow up. He’s fun, sweet, energetic and loves to play! He has yet to meet a stranger. Our boy as a puppy and all grown up! 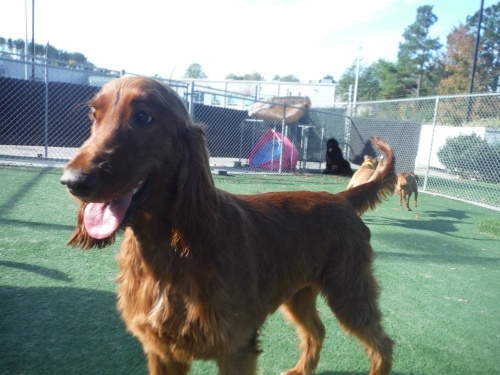 Polly is a beautiful Irish Setter with a very sweet disposition. She loves to play with her friends in daycare and also likes to sneak in a kiss or 2 while loving on our staff.